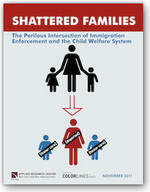 A new report illustrates the tragic intersection of immigration policing and child welfare. Like the "collateral damage" brought about about by U.S.-war-making abroad, harm to children is an inevitable consequence of the ongoing "war" on immigrants characterized as undesirable. A report released last week shows that damage to the wellbeing of children and families is an increasingly fundamental component of the U.S. immigration enforcement regime. 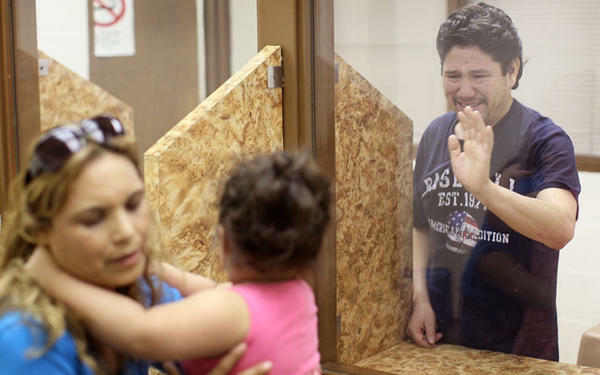 In its investigative study called “Shattered Familes,” the Applied Research Center (ARC), the publisher of ColorLines.com, finds that the federal government deported more than 46,000 mothers and fathers of U.S. citizen children in the first six months of 2011. These figures constitute a very significant increase in the proportion of parental deportations. In the period 1998-2007, approximately 8 percent of the federal government’s “removals” were of parents of U.S. citizen children. 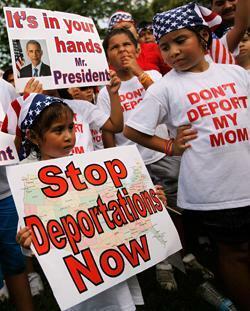 By contrast, the 2011 figures reveal that parental deportations are now more than 22 percent of the total. Among other shocking key findings, ARC conservatively estimates that more than 5,100 children are currently living in foster care due to the deportation or detention of their parents. While most of these cases occur in the U.S.-Mexico region, they take place across the United States: ARC identified 22 different states where such cases have unfolded in the last two years. That the U.S. government effectively ignores domestic and international laws as they apply to children in its “war” against immigrants it deems as undesirable is hardly surprising. In recent days, it has been revealed that a CIA drone killed 16-year-old Tariq Aziz and his 12-year-old cousin, in Pakistan. This comes less than a month after a suspected U.S. drone murdered 16-year-old (and U.S. born) Abdel-Rahman Anwar al-Awlaki (the son of the U.S.-born cleric Anwar al-Awlaki who the United States had assassinated less than two weeks earlier). For more from the Border Wars blog, visit nacla.org/blog/border-wars. And now you can follow it on twitter @NACLABorderWars. See also the May/June 2011 NACLA Report, Mexico's Drug Crisis; the Jan/Feb 2009 NACLA Report, Taking on Policy in the Obama Era; and the May/June 2007 NACLA Report, Of Migrants & Minutemen.